First of all, the British Airways is not in the league of airlines such as Singapore Airlines or Cathay Pacific. Many of its intercontinental planes are old and unkempt; monitors are only bit bigger than a pack of cigarettes, and the selection of films thoroughly pathetic for a ‘global carrier’ – just a mainstream diet of Hollywood and British blockbusters. 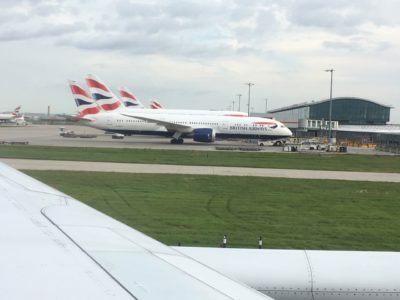 While almost all first-rate airlines like Qatar Airways, Emirates, Thai, Singapore, Qantas, Cathay Pacific, but even KLM, Air France and Lufthansa, are offering cutting-edge films from Iran, China, Russia, Argentina, India and all other corners of the world, British Airways remains arrogantly and unapologetically US/UK-centric. Judging from the selection of its films, who would ever think that Great Britain used to colonize almost half of the world, and to this day is still meddling in the affairs of dozens of countries worldwide? The BA’s selection of films, TV programs and news could only be described as shockingly dogmatic. That is, of course, expected from and fitting for the national airline of the country that acts as the chief propaganda producer and supplier for the entire West. 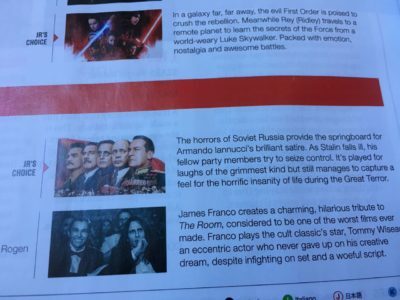 Judging by the selection of the ‘entertainment’ offered on UK and US carriers, it appears that both the UK and US are ‘scared of the world’, consequently trying to ‘protect’ their citizens and guests from ‘dangerous influences’ flowing out of Russia, China, Latin America, Iran and other countries with the best cinema in the world. 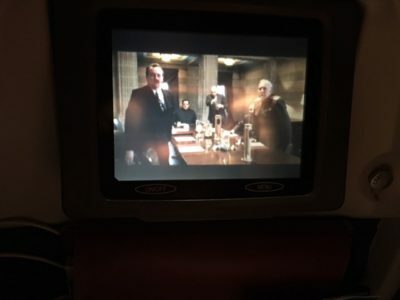 On my 12 hour flight in BA’s ‘premium economy’, from Bangkok to London Heathrow, two British films caught my attention: The Death of Stalin and Darkest Hour. The Death of Stalin, directed by Armando Iannucci (a BBC and HBO veteran), is simply a filthy, garbage, bad, bad movie. BA’s brief introduction of the film is seasoned with the usual vulgar, lowest grade of contemporary British propaganda, which lately is so common in the mainstream UK media and even inside the British Parliament: “the horrors of Soviet Russia”, or the, “horrific insanity of life during the Great Terror”. As for the film, it simply vulgarizes one of the most complex figures of the 20th century, while simultaneously smearing everything about one of the most important countries in the history of mankind – the Soviet Union – which stood and fought, for decades, against Western colonialism and imperialism. Perhaps this film is part of those millions of dollars and pounds that both the US and UK regimes have pledged to spend on fighting the truth that, lately, has been pouring out from non-Western media sources. What discipline, what blindness it takes, to maintain that Winston Churchill was just a ‘war hero’, not also a racist, bigot and a criminal. In British pro-Churchill, nationalist propaganda (including countless films produced on the topic), not a word is uttered about the dark, even monstrous side of the man. Nothing about the gassing of people, about triggering famines that took millions of human lives in India and elsewhere, nothing about the brutality he unleashed in Africa. Not the slightest of hesitation or a sign of soul-searching can be detected! It is simply unbelievable how indoctrinated, how intellectually obedient the British public has become. And the more it is, the more it actually dares to preach to the entire world, defending and even unceremoniously spreading its ‘values’. So many films have been made in the West about Churchill and his stand against Nazi Germany. While not even one has ever been produced, even of recent, about Stalin and his monumental effort to mobilize his enormous country, effort that actually saved the world from the monstrous forces of fascism. This article was posted on Friday, May 18th, 2018 at 11:30am and is filed under "The West", Disinformation, Fake News, Media, Militarism, Narrative, Propaganda, The Soviet Union, United Kingdom, United States.